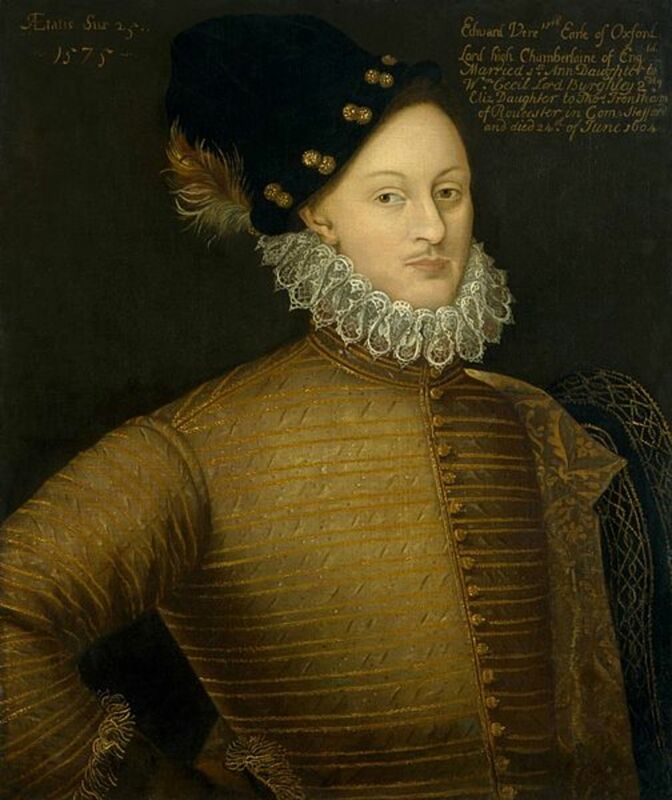 Edward de Vere, 17th Earl of Oxford, the real "Shakespeare"
The Shakespeare Sonnet sequence does not feature titles for each sonnet; therefore, each sonnet's first line becomes the title. According to the MLA Style Manuel: "When the first line of a poem serves as the title of the poem, reproduce the line exactly as it appears in the text." APA does not address this issue. Creators of art have often described their relationship with their works as parent to child. The speaker in sonnet 37 is framing his discussion this way. As he addresses his poem, he is revealing that he feels for his poetic creations as he would for a child. The poem, because it reflects so much of its writer's qualities, may be thought of as the offspring of its writer. The speaker finds his comfort and joy in his poems. He possesses through his art a pride of accomplishment. The speaker may feel even more pride in a poem that he has created, knowing that he alone is responsible for its worth. As God has given humans the ability to procreate, the Blessed Divine has also given them the power to create. Creating art is a significant way that the human mind can reflect itself in colorful and useful productions. And by a part of all thy glory live. This wish I have; then ten times happy me! Addressing his sonnet as a father would a son, the speaker is dramatizing multifaceted ways by which his life is enhanced through his written creations. In the first quatrain, the speaker compares his lot in life to an aged father who can take comfort only in his son’s life and achievements and ability to continue living the life of youth and young adulthood. Again, the speaker is addressing his poetry; his poetry is like his son because the speaker’s creativity gives the poetry life. So the speaker, because of his poetry, can say to his poem: "I // Take all my comfort of thy worth and truth." The speaker then asserts that regardless of whether the positive qualities of "beauty, birth, or wealth, or wit" actually garner accolades from others, he knows that he creates from these positive qualities. The speaker strives to create beauty in his poetry, and his talent, he believes, is equal to the effort. The speaker avers that he knows his own mind and heart, and whether his creations are held up like royalty or not, he has attached his love to his works. Because of his great talent, the speaker knows he is not "lame, poor, nor despis’d." In the "shadow" of his creations, he can live abundantly. The speaker is "suffic’d" by the glory of is works, but he claims only a part of that glory, giving much credit to the mystery that is talent. The speaker in this sonnet’s portrayal harkens back to his plea to the young man to marry and have children who would glorify the young man’s old age. The speaker in this group of poems shows how his poetry saves him from decrepitude and how his love and essence are reflected in his poetic creations. The speaker recounts that he is ten times as happy as he would be without his talent in writing poetry. The speaker thus invites the poem to look at what is best and realize that all of the speaker’s wishes rest with poem. Because the speaker is lucky enough to entertain such a wish, he is, in fact, blessed with many levels of happiness. Scholars and critics of Elizabethan literature have determined that the sequence of 154 Shakespeare sonnets may be classified into three thematic categories: (1) Marriage Sonnets 1-17; (2) Muse Sonnets 18-126, traditionally identified as the "Fair Youth"; and (3) Dark Lady Sonnets 127-154. The speaker in the Shakespeare “Marriage Sonnets” pursues a single goal: to persuade a young man to marry and produce beautiful offspring. 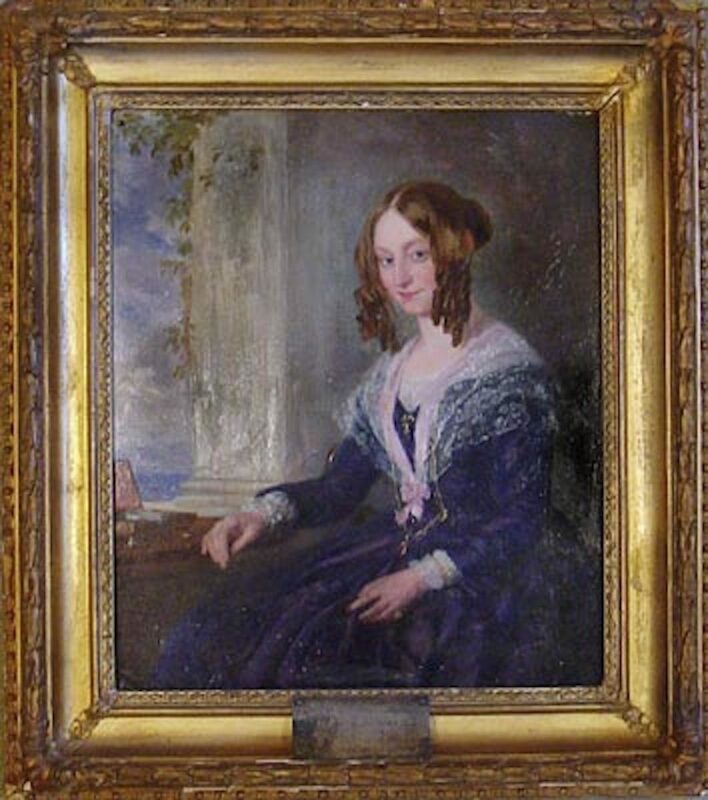 It is likely that the young man is Henry Wriothesley, the third earl of Southampton, who is being urged to marry Elizabeth de Vere, the oldest daughter of Edward de Vere, 17th Earl of Oxford. Conceiv'd out of the fullest heat and pulse of European feudalism — personifying in unparalleled ways the medieval aristocracy, its towering spirit of ruthless and gigantic caste, with its own peculiar air and arrogance (no mere imitation) — only one of the "wolfish earls" so plenteous in the plays themselves, or some born descendant and knower, might seem to be the true author of those amazing works — works in some respects greater than anything else in recorded literature. For more information regarding Edward de Vere, 17th Earl of Oxford, as the real writer of the Shakespearean canon, please visit The De Vere Society, an organization that is "dedicated to the proposition that the works of Shakespeare were written by Edward de Vere, 17th Earl of Oxford." The speaker in this section of sonnets is exploring his talent, his dedication to his art, and his own soul power. In some sonnets, the speaker addresses his muse, in others he addresses himself, and in others he even addresses the poem itself. Even though many scholars and critics have traditionally categorized this group of sonnets as the "Fair Youth Sonnets," there is no "fair youth," that is "young man," in these sonnets. There is no person at all in this sequence, with exception of the two problematic sonnets, 108 and 126. The final sequence targets an adulterous romance with a woman of questionable character; the term “dark” likely modifies the woman’s character flaws, not her skin tone. Sonnet 108 and 126 present a problem in categorization. While most of the sonnets in the "Muse Sonnets" do focus on the poet's musings about his writing talent and do not focus on a human being, sonnets 108 and 126 are speaking to a young man, respectively calling him "sweet boy" and "lovely boy." Sonnet 126 presents an additional problem: it is not technically a "sonnet," because it features six couplets, instead of the traditional three quatrains and a couplet. The themes of sonnets 108 and 126 would better categorize with the "Marriage Sonnets" because they do address a "young man." It is likely that sonnets 108 and 126 are at least partially responsible for the erroneous labeling of the "Muse Sonnets" as the "Fair Youth Sonnets" along with the claim that those sonnets address a young man. While most scholars and critics tend to categorize the sonnets into the three-themed schema, others combine the "Marriage Sonnets" and the "Fair Youth Sonnets" into one group of "Young Man Sonnets." This categorization strategy would be accurate if the "Muse Sonnets" actually addressed a young man, as only the "Marriage Sonnets" do. Sonnet 99 might be considered somewhat problematic: it features 15 lines instead of the traditional 14 sonnet lines. It accomplishes this task by converting the opening quatrain into a cinquain, with an altered rime scheme from ABAB to ABABA. The rest of the sonnet follows the regular rime, rhythm, and function of the traditional sonnet. Sonnets 153 and 154 are also somewhat problematic. They are classified with the Dark Lady Sonnets, but they function quite differently from the bulk of those poems. Sonnet 154 is a paraphrase of Sonnet 153; thus, they carry the same message. The two final sonnets dramatize the same theme, a complaint of unrequited love, while outfitting the complaint with the dress of mythological allusion. The speaker employs the services of the Roman god Cupid and the goddess Diana. The speaker thus achieves a distance from his feelings, which he, no doubt, hopes will finally liberate him from the clutches of his lust/love and bring him equanimity of mind and heart. In the bulk of the "dark lady" sonnets, the speaker has a been addressing the woman directly, or making it clear that what he is saying is intended for her ears. In the final two sonnets, the speaker is not directly addressing the mistress. He does mention her, but he is speaking now about her instead of directly to her. He is now making it quite clear that he is withdrawing from the drama with her. Readers may sense that he has grown battle-weary from his struggle for the woman’s respect and affection, and now he has finally decided to make a philosophical drama that heralds the end of that disastrous relationship, announcing essentially, "I’m through." Shakespeare's Sonnets Online - Sonnet 18 "Shall I compare thee to a summer's day?"